RUSH: Folks, get this, there are, today, three separate, huge exposes/stories on the entire Russia/Trump collusion bit. One of them is in The Nation. The Nation is effectively a world communist organization publication. It’s not enough to call The Nation a journal of liberal opinion. These people are extreme leftists. There is a piece at Bloomberg. There are three of them. I’ve got the stack right here. Here’s the upshot: The upshot is, and the piece in The Nation is epic. It might run to 25 pages. The upshot is they don’t believe Trump and the Russians colluded on anything. These are leftists, people who vote for Hillary, vote for Crazy Bernie. They’ve concluded, they went out and hired four different forensic analysts from various organizations. They’ve been forensically analyzing all of this. The Nation has concluded that there wasn’t even a hack of the Democrat National Committee computer network, the servers. There was no hack. It was a leak. It would take me an hour and a half to go through this entire story. Don’t worry, I’m not going to do that. I don’t have to do that to make the point. And there are two other stories. Bloomberg has one and George Neumayr at The American Spectator briefly reports on another. What’s happening here, folks, is also common sense triumphing, but it’s triumphing over time. It’s not triumphing over individuals. What I mean by this is this: The media — and The Nation, by the way, claims the media will be all over this, has been complicit — everything you think about this and everything you think you know about it, every opinion you have about who is responsible for it, The Nation is confirming. There was no collusion. There was no hack. Trump had nothing to do with it. Putin had nothing to do with it. They have gotten as much out of this they can. They’ve been at this intensely since the day after the election in November. Here’s what I think is going on: The one thing that will never be erased that they believe, the one gospel that they have is that Hillary Clinton got jobbed. They believe Hillary Clinton got screwed. They think that Hillary’s campaign was sabotaged. That will never change. 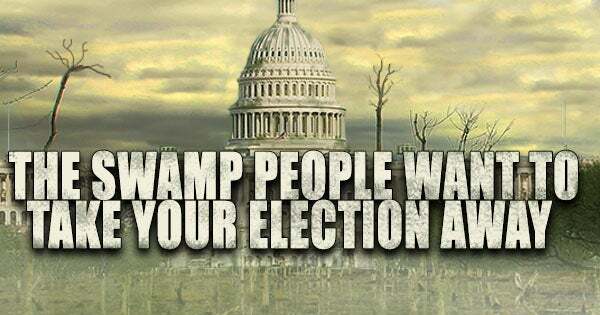 What is changing, after all of this time these people are having to admit there isn’t any evidence for what the media and the Obama embed deep state people have been trying to maintain for the last seven or eight months. There isn’t any evidence that Trump and the Russians had anything to do with it. But Hillary still got jobbed. They want to know who did it. These people wanted to vote for Hillary. Hillary is a communist. The Russians are not communists anymore. The way to look at Putin is as a Mafia don. He’s not a communist leader in the sense that Brezhnev or Andropov or even Gorbachev were. But the Russian Federation today, it’s not strictly communist as the old Soviet Union was. But, nevertheless, The Nation wants Russia to not be blamed. They still like Russia. Some problems with Putin. They admit that their problem here is they’re exculpating Trump. That bothers them. They admit Trump had nothing to do with this. This is a huge, huge thing that you’re not going to hear anything about. This is one time where The Nation will be ignored by the Drive-By Media. Their conclusion is that Hillary Clinton was indeed sabotaged, her campaign was, and they really want to know who did it. And they’re tired of having gone through all these months of mindless allegations about Trump and Russia with no evidence. So they have decided to do their own investigation, hire their own experts, and the experts have concluded that there’s no way any of the stuff that ended up at WikiLeaks could have ended up via a hack. It had to be a leak. There is simply no way. In one evidentiary paragraph, they cite download speeds and data-transfer speeds, and they have been able to go back and they’ve looked at the metadata in some of this and they have found it’s been altered. But they’ve also found that the data-transfer speeds of the data on the network and on the servers could not possibly have happened over the Internet, even with fiber. It just could not have happened if the target was sending it to Russia. The speeds achieved just could not have happened. The data was transferred all within the Eastern Time Zone, and they think probably on a thumb drive. In addition, they have discovered Word documents that were Russian-language templates, meaning you copy and paste whatever you find in a document on a server. You copy and paste it into these Word templates and it will automatically translate it to Russian and create Russian watermarks, and they have found that this is what happened. But the data never went to Russia. It couldn’t have at the data-transfer speeds they found such as 22 gigabytes a second. (chuckles) That could not have been achieved. So it’s all coming home to roost here. I told you three weeks ago that the worm was turning on this. It was just a sense that I had; it was an instinct. And now, today — actually, last night — three separate stories. Here’s what I think is what’s driving this. Again, they wanted Hillary. They probably still do. She got jobbed. She was sabotaged. They want to find out who really did it. They’re tired of playing around with this unprovable allegation that Trump did it. They admit in all of these three stories: There’s no evidence for any of this. There’s no evidence for anything the Drive-Bys have been alleging. There’s been no evidence that these anonymous sources in the Intel community can give, all of these deep state anonymous sources. There’s no evidence! As we have shouted I don’t know how many days in a row, I don’t know how many times a day: There’s no evidence for any of it. It’s not going to change Mueller. They’re not trying to find proof. Mueller is not going to try to find proof of collusion. There isn’t any. It didn’t happen. Mueller is doing something entirely different, as my good buddy Andy McCarthy cited last week. Mueller’s investigation, essentially, is the first phase of the attempt to impeach Trump — and looking into Paul Manafort and everything about Manafort’s life? They’re looking for process crimes, and looking for dirt on people they can use to flip them and get them to admit things or testify about various things that have happened in the Trump organization even long before Trump became a candidate. They’re heading down the path of trying to establish that Trump is unfit for office. Believe me, this North Korea stuff is going to fit into that. RUSH: The other thing I wanted to mention here: The big report in The Nation that I cited in the first half hour of the program. Folks, it’s a phenomenal story. I’m going to link to it at RushLimbaugh.com so you can read it. It’s strangely written, and by that I mean in composition. Whoever wrote this — Patrick somebody — just has a unique way of writing, sentence structure. I found myself having to read a couple paragraphs twice, some sentences — forward, backward, forward — to make sense of them. And I was able to. But the real thing about this is who he went out or who The Nation went out and hired to do their forensic analysis. It’s the one thing that gave me pause in even mentioning this to you today. And I finally decided I could get past it. The group that The Nation hired to look into this, the acronym is VIPS, and it stands for Veteran Intelligence Professionals for Sanity, and they’re radical leftists. But this is what clued me in to what’s actually going on here. Now, here’s something that you may not know: The CIA and other foreign intelligence organizations and elements have had radical leftists since their beginning. Wild Bill Donovan and Bill Casey started what became the CIA back in the early World War II days, maybe just before it. And, of course, when they started there were no rules. It was the first official counterintelligence operation that began. And one of the big stars early on was a counterintelligence, counter-terrorist intelligence spy by the name of James Jesus Angleton. He has since passed away. William F. Buckley actually wrote a novel featuring Angleton. But he was one of the early, early stars in the early CIA. He was a good guy. Don’t misunderstand. But back when this all happened, in the late ’30s and early ’40s, the CIA was populated with a bunch of radical leftists and some communist sympathizers. And the reason for that was our intelligence agencies came of age in World War II and just prior when Joe Stalin was our ally. Adolf Hitler was the enemy. Stalin was an ally of sorts. And back then… This may be some history you don’t know. Back then liberals, “progressives,” the extreme leftists that were in the CIA and other similar organizations, thought Marxism was going to win. It was their job to do intel and analysis, and they really thought Marxism was the inevitable future. I’m not yanking your chain here. 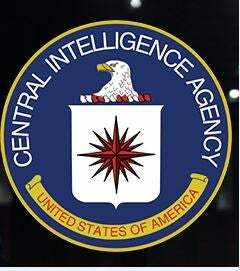 August organizations like the CIA actually had people in them who were… It may be a stretch to say anti-American but they were sympathetic to the leftist cause. We know this because the same thing happened in the U.K. with MI5 and Kim Philby, who was a lifelong Soviet spy while working for British intelligence. So these things happened. And the reason for it is back in the early days of all of these intelligence agencies coming together, Marxism seemed to be what was going to win as they made their calculations. I can’t tell you why they thought the United States would fall to it. I can’t tell you why they thought the United States would succumb, but they did. So there are and have been a history of radical leftists, not a majority by any stretch, but radical leftist throughout the intel community. Many of them are still there today. Who do you think it is that’s been providing all this bogus information to the newspapers about Trump colluding with Russia? They’re all Obama appointees and Clinton appointees and they’re there. They’re still there. They’re at the state department. They’re at the Pentagon. They’re at the CIA. They’re at the NSA. They’re everywhere. And this bunch — Veteran Intelligence Professionals for Sanity — is the group that is blowing up the theory that Russia colluded with Trump. Let me give you an example. Ray McGovern, the guy who runs VIPS, is a cross-dressing street preacher. The last time we heard from this bunch, the Veteran Intelligence Professionals for Sanity, is when they were screaming that the outing of Valerie Plame was the crime of the century. So anyway, this group is the forensic group that The Nation used to examine everything that’s known about what happened to the DNC server. And these people — this is what gave me pause — as I say, it eventually cemented things for me. These radical leftist that make up this forensic group, have concluded there was no hack, that the Russians had nothing to do with it. They would want to exculpate the Russians, by the way. The VIPS group would look at Russia, even though it’s not communist anymore, even though it’s more like a crime organization with Putin as the lead don, they still have a sentimental attachment and they want to exculpate Russia. Their motive here is not to exculpate Trump. They’re uncomfortable exculpating Trump, you can tell that reading the piece. What they want is for everyone to get off this notion that Russia had anything to do with this because they didn’t. At the end of the day, Hillary Clinton got cheated. These radical leftists at VIPS that The Nation hired, also radical leftists, to try to get to the bottom of this. Hillary Clinton, who is a communist, for all intents and purposes, she got jobbed. And they want to know who really did it. They know Trump didn’t do it. And they know the Russians didn’t do it. They want to know who really did it. And the fact that extreme leftists are in the process of doing the forensics here, to me, just confirms my instincts that they want to get to the bottom of this because they know the Russians and Trump had nothing to do with it. And in their world somebody is going to pay for this because Hillary was going to win. They believed their polling data. They believed that Trump is an idiot that nobody would support. They can’t get past that. They can get past Trump and Russia didn’t collude, but they want to find out who. And there’s a person they need to talk to, and that person’s name is Debbie “Blabbermouth” Schultz. I think there you will find most of the answers to the questions they have.